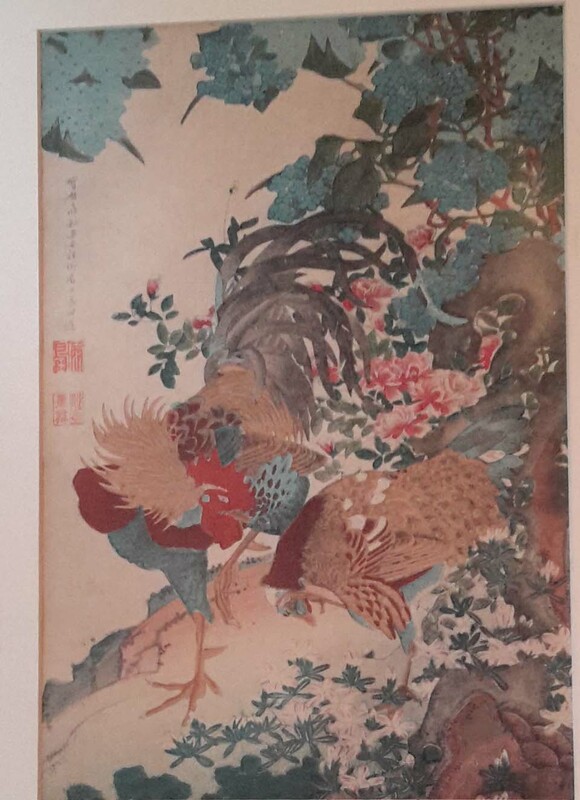 Subject:Japanese print, chickens, can anyone please identify the artist? Hi , can anyone translate the seals? I believe that the image is after a very famous and popular original which has been copied by several different artists over time.